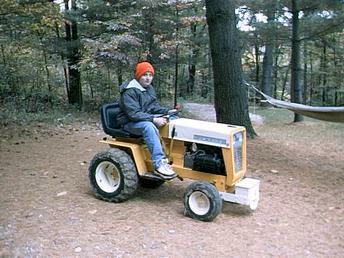 This 1966 model 122 (12 hp) is the restored version of the previous picture. It was restored Oct 2000 (not professionally) by me and my dad. It turned out pretty good. We got it put back together just in time to pull at the local fair (it popped out of gear, but I still finished in 8th place).